The Nobel Prize In Physics And The Search For Gravitational Waves : 13.7: Cosmos And Culture There's a certain pride that the world will pause and reflect on a scientific endeavor: Today, I'm learning about topological states of cold strange matter, says author and physicist Janna Levin. I'm usually the last in my field to know the Nobel Prize in Physics has been announced. If the recipient is someone close to theoretical physics or astrophysics, I usually get clued in to the good news by the big grins and buoyant chatter in the halls of the department. Our community is not huge and we all, very likely, know the awardees to different degrees. Someone will have studied with them or taught them or gone to school with them — and the anecdotes will flow. There's a certain pride that the world will pause and reflect on the scientific endeavor, which at times can drift into obscurity and induce a peculiar isolation — and I think I'm drastically understating that syndrome. But this year, the multiple requests from reporters to comment on the impending prize made me unusually aware that the announcement was to the immediate future as opposed to my usual annual awareness that the prize was just announced in the immediate past. The main question: "Do I think 'The Prize' will be awarded for gravitational waves?" Over a billion years ago, two black holes swung through their final orbits and merged, banging on spacetime like mallets on a drum — a phrase I've used a lot these past few weeks — sending waves in the shape of spacetime emanating through the universe. An astronaut floating near enough the black holes might actually hear the wave, her ear mechanism vibrating in response to the oscillating space. To get to Earth, the sound raced against the evolution of multi-celled organisms, the emergence of homo sapiens, civilization, industrialization, Albert Einstein's first ideas on the existence of gravitational waves — and the invention and construction of an instrument to record the sound of spacetime ringing, LIGO. The story of that race is remarkable, and when the gravitational waves from the final 1/5 of a second of the merger of those two black holes (forming one big quiet black hole) washed over the instrument in Louisiana in the early hours of Monday morning Sept. 14, 2015, the sites weren't quite ready. Still, the instrument recorded the faint sound of the ringing drum before the waves cruised across the continent and struck the machine in the state of Washington 7 milliseconds later. By the time the gravitational waves made it to Earth, the instruments recorded modulations in the shape of spacetime about 1/10,000 the width of a proton over a distance of 4 km, the span of the arms of the machines. For this astounding achievement, there is no doubt in anyone's mind — at least not anyone I've spoken to — that the detection of gravitational waves deserves the accolade of a Nobel Prize. 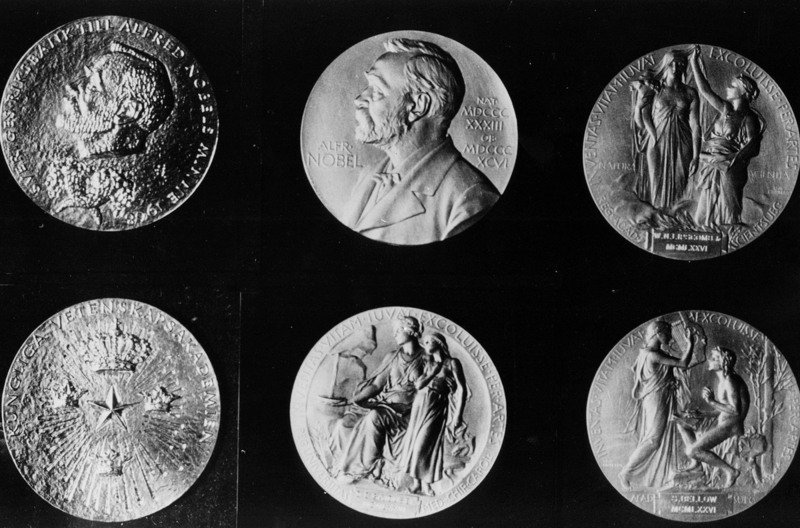 But the Nobel Prize can be awarded to at most three individuals and, so, the question sometimes raised — and which was raised to me prior to Tuesday's announcement — is: "Which three?" A fairly obscure project the day before the monumental announcement of the discovery of gravitational waves, LIGO represents an arduous 50 years, costing entire careers and nearly a billion dollars, spanning 4 km on two different coasts, and requiring a team of nearly 1,000 people. Before the billion dollars, the fights with Congress, the firings and reconfiguration, the acquisition of hundreds of scientists and engineers, there were just three, "The Troika": Rainer Weiss, Kip Thorne and Ronald Drever. When asked about the prospect of becoming a Nobel Laureate, Kip Thorne, highly deserving, becomes genuinely, earnestly uncomfortable. I've always felt that Kip sacrificed for the field of gravitational waves precisely because he wanted to get into something bigger even than his own (impressive) accomplishments. He praises the team, his pride in them palpable, his satisfaction irrepressible because he always believed they would succeed. "I'm a historical figure," he says with a broad smile, his diffidence unfeigned. When Rai Weiss is asked about the prospect of becoming a Nobel Laureate, he brushes away the conversation, agitated. Rai loves to speak his mind. About the early struggles, he says: "And, by God, a lot of them were thinking of Nobel Prizes. Okay? That's the sin in this field, if you want to know the truth." He fought his own ego to do whatever was necessary for LIGO to succeed and, now that he and The Troika and LIGO have received nearly every other major accolade in astrophysics in 2016, he wants to share the glory with the team, and naturally some members more than others. Ron Drever, an early architect of many clever experimental advances in the LIGO design, is unwell. His brother Ian reads to Ron many of the stories that are being written about him now and reports to me that he believes Ron enjoys the accounts and the memories that he can access. The bookies favored Ron, Rai and Kip for the Nobel Prize. When asked if I thought The Troika would win the prize this year, I replied that my opinion on the topic should matter very little. I'm fascinated by physics, not politics. But I feel some obligation to respond, having written a book on the gravitational-wave campaign, published right on the heels of the discovery, a coincidence of perfect serendipity, a happy impact between a random natural occurrence roughly 1.3 billion years ago and a manuscript delivered roughly two years late. I limited the book, Black Hole Blues and Other Songs from Outer Space, predominantly to the story of The Troika, with its universal themes of perseverance, but I did so with a profound feeling of dread. Consider all that I had to leave out: major contributors, and minor. I expect readers understand that the book is not an attempt at a complete history, that the nearly 1,000 members of the LIGO team each have stories to tell that I couldn't possibly include. Before my book went to press, I had many conversations with Rai — and spent plenty of time hand wringing. How could I do right by the other scientists on the team? The early contributors who were essential to the success, the project scientists that have spent decades on site but get no mention, the youngest experimentalists that actually locked the machine in observing mode in the middle of the night? Rai compiled lists of those scientists to single out, identifying their most important contributions, but the lists quickly became unwieldy and politically fraught. We talked to the director, David Reitze, and the spokesperson, Gabby Gonzalez. In the end, I decided to publish, as an appendix, the entire author list that appeared on the discovery paper, more than 800 names from more than 130 institutions around the world. And I'm aware that that's not enough. There are two people that I will single out here. Rochus Vogt, the first formal LIGO director, stepped in to push the project forward at a crucial and vulnerable moment. Though the members of The Troika brought their unique brilliance to the project, as a conglomerate, The Troika was a highly unsuccessful management organization. Robbie rallied the modest early team to write a successful proposal to the National Science Foundation and won a long fought battle with Congress for budgetary approval. Robbie's controversial "skunkworks" management style was powerful and effective, but he clashed with the team. Under tense circumstances Robbie exited the project. In a recent article in Science, with support from Nobel laureates, Barish made a pitch for inclusion among the awardees. In his own words: "I think there's a bit of truth that LIGO wouldn't be here if I didn't do it, so I don't think I'm undeserving." He plainly called for the Nobel committee to defer their decision for a year to investigate LIGO's history before doling out the award. By vying for the prize, he rankled some, maybe even many within LIGO, but I get the impression their rankling would not rankle Barish. He is confident and widely respected. He will doubtless deservedly receive other honors, if not this one. My husband woke me at 6:30 a.m. Tuesday morning with the words, "Your friends didn't get the prize." Technically, the LIGO discovery was announced after the Nobel's deadline for nomination in 2016. Maybe that's the reason. Is it possible the committee was swayed to defer for at least a year? Which three? Or maybe the committee wants corroboration of the detection with more data, more experiments. The interest the prize sparks is wonderful. Today, I'm learning about the topological states of cold strange matter, the discoveries honored in the early morning announcement. Spacetime is interesting, but matter is interesting, too. In the months following the LIGO detection, Rai told me with excitement about the new instruments he hoped to help design, again with a team of clever young experimentalists whom I am pressured by the confines of word limits to omit with regret. While we enjoy the announcement of the prize, while the whole community feels a surge of pride, while at most three are honored, none of that really matters. Scientists do not devote their lives to the sometimes lonely, agonizing, toilsome investigation of an austere universe because they want a prize. Describing future experiments and the prospects for their success Rai said: "It won't be in my lifetime." And then, adding the sentiment that haunts me and gives perspective to these discussions: "But, that's not important." Janna Levin is a professor of physics and astronomy at Barnard College of Columbia University and winner of a PEN/Robert Bingham Fellowship and a Guggenheim Fellowship. Her most recent book, Black Hole Blues and Other Songs from Outer Space, was published in March 2016.